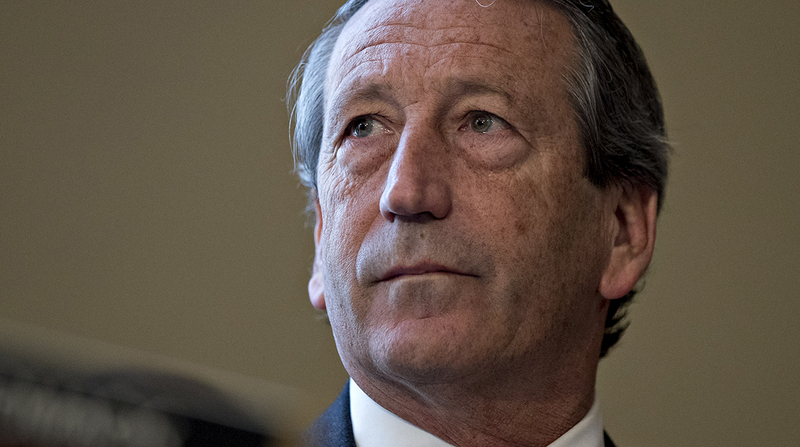 While several Republican incumbents with key roles on transportation committees celebrated wins in the June 12 primaries, South Carolina’s Mark Sanford (R) wasn’t so lucky. Sanford, a member of the transportation policy committee in the U.S. House elected in 2013, was narrowly defeated by Katie Arrington, who found help in President Donald Trump’s attack on the incumbent. Arrington will face Joe Cunningham (D) in the general contest for the opportunity to represent the 1st Congressional District. Prior to the primary contest, the president criticized Sanford on social media, adding, “He is better off in Argentina.” As South Carolina’s governor, Sanford famously ducked the public eye for several days to spend time with an Argentine woman. During his congressional tenure, Sanford promoted port and freight infrastructure projects in his state and across the region. He also raised questions about certain budget priorities the administration promoted. In Virginia, incumbent Republican Rep. Barbara Comstock, a member of the transportation policy committee with Sanford, was victorious in her state’s primary. Comstock’s opponent is state Sen. Jennifer Wexton, and the contest has been listed as a “toss up” by the Cook Political Report, meaning there is no clear favorite in the race. The commonwealth’s 10th Congressional District strongly favored Hillary Clinton in 2016. During her tenure, Comstock has advocated for traffic improvements along Interstate 66, intermodal connectivity among airports and public transit, and major influxes of funding for the region’s subway system. Wexton, for her part, promotes infrastructure funding for large-scale projects statewide. Turning to the Senate, Virginia’s Tim Kaine (D) is a heavy reelection favorite against Prince William County Chairman Corey Stewart (R). A member of the Senate Armed Services Committee, Kaine gained national prominence as Clinton’s running mate in 2016. Election outcomes in Virginia will be key as Democrats look to shift the balance of power on Capitol Hill, according to the Cook report. In Nevada, Sen. Dean Heller (R), will face off against Rep. Jacky Rosen (D), who knocked out several opponents to win a bid for the senate seat. Heller, a member of the Commerce Committee, is among the most vulnerable incumbents, based on calculations from various national election prognosticators. Both candidates have expressed a need to reduce traffic congestion along the state’s main corridors. In North Dakota, incumbent Sen. Heidi Heitkamp (D) ran unopposed and will face off against Republican Rep. Kevin Cramer, a member of the House Energy and Commerce Committee. The November contest is expected to attract tens of millions of dollars from outside contributors, with oil companies and the fuel and construction sectors expected to generate a significant influx of donations. President Trump easily won the state, and Sen. Heitkamp has enjoyed a rapport with the president since he took office. She is a member of the Banking, Housing and Urban Affairs Committee, which has jurisdiction over public transit systems.